Note: This is a guest post from Spencer Blohm, an entertainment, film, and lifestyle blogger in Chicago. Craft brewing has been around for 500 years. In the past decade, though, it’s taken off — especially in the United States. The appeal is obvious. Smaller batch sizes and creative recipes lend the craft brew flavors (and identities) that Budweiser can’t match. Similarly, artisan distilleries are multiplying inexorably. Liquor stores offer more American-made bourbons, whiskies, rums, and vodkas than ever before. One can easily see how America’s wine industry will benefit from the craft boom. As interest in artisanal wine, beer and spirits has increased, so has the number of television programs and documentaries detailing the art of creating these drinks. This Smithsonian Channel travelogue, hosted by food journalist Josh Ozersky, takes on nothing less than the history and production of all types of alcohol in the United States. From craft beer to cocktails to fine wine and moonshine, each beverage’s recipe and historical context are explored. It’s not only a lesson on how these beverages get made, but also a history lesson which isn’t found with many other similar shows or documentaries about the industry. It’s a great choice if you’re a history buff. DirecTV released this documentary about the growing popularity of Bourbon bars where guests can taste dozens of offerings. Bourbontucky also goes in depth for a behind the scenes look at some of the most prominent distilleries, and breaks down the process of production, from corn harvest to mash fermentation to oak-barrel aging. Viewers learn what makes bourbon different from whiskey, learn about its all-American roots, and really get a behind the scenes look at this historical and increasingly popular beverage. Stage and screen actor Jack Maxwell travels the globe — stopping in places like Tokyo, Nepal, and New Orleans — in search of great drinks. He also interviews some of the most renowned mixologists in the world and tastes their finest concoctions. The show isn’t just about booze, though. Maxwell also finds time to examine local food, culture, and scenery. This TV series ran for four seasons on Spike TV, and follows comedian Zane Lamprey as he travels the world indulging in local debauchery. Employing a host of diverse recurring characters, and with the emphasis squarely on fun, the show itself also doubles as a drinking game! Get the rules at the Three Sheets Wikipedia page. Seen through the eyes of Dogfish Head, this 2009 documentary details the struggle of small breweries as they compete with vastly richer big beer companies for distribution, shelf space, taps, and market share. 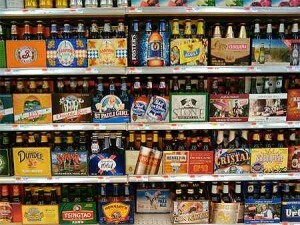 Writer/director Anat Baron, who developed the project while working as general manager for Mike’s Hard Lemonade, continues to report on microbreweries’ struggle against “big beer” in her blog on the movie’s website. Told from the viewpoints of seven different wineries in Burgundy, this documentary delves into the different production philosophies of each winery as well as their means of coping with a particularly tumultuous 2011 growing season. Beautifully shot, this award-winning film is really an informative and entertaining look at the wine industry.